2018 has been another busy year for the Lifeboats. The category "lives saved" only relates to incidents where there was no other asset that could have effected the rescue. If there were other assets on scene who could have effected the rescue but stood by and let the lifeboat do the rescue this would be shown as "persons assisted" in the figures. With the Lifeguards their criteria for lives saved is the same. The aim of our lifeguards is to prevent the incident from happening and that work is shown in the preventitiev actions figures. Beach visitors is an approximation of the numbers of beach visitors during the season. Scarborough Yacht Club has raised £1028.80 for Scarborough RNLI over the last year in various ways, such as a dinner-dance and raffles. Members of the club visited the lifeboathouse to present the money. 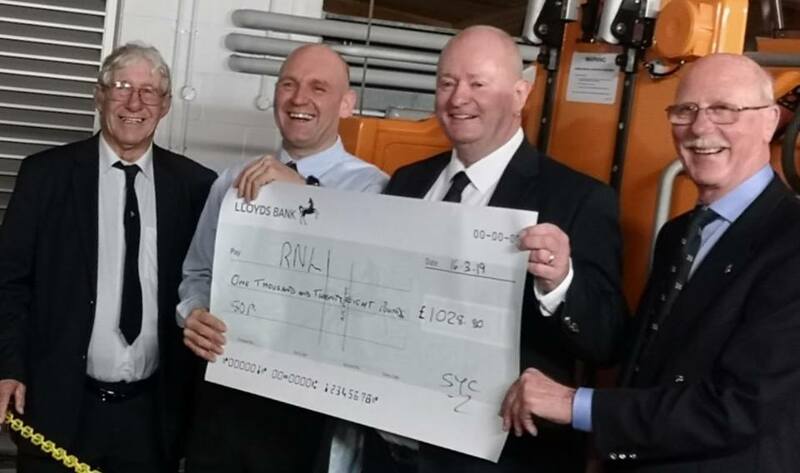 Club Commodore Roger Buxton and member Martin Cranmer are pictured handing over a cheque to Coxswain Lee Marton and chairman Colin Woodhead. Colin presented Roger with a pennant to be given to the winner of the RNLI pennant race on 18 May 2019. Colin Woodhead and his wife pauline have been stalwart supporters of Scarborough Lifeboat Station for many years. Colin is Chairman of the Lifeboat Station and Pauline will always be seen looking after the refreshmentst at lifeboat events. 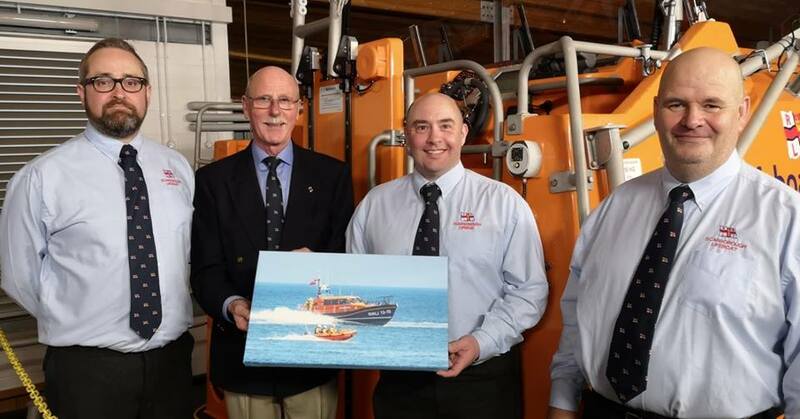 So the crew decided that they should be thanked for the work that they do so, Colin was presented with a canvas print of a photo of the Scarborough lifeboats. He is pictured (2nd left) with crew members (left to right) Erik Woolcott, Mark Jenkinson and John Huntley. Colin also accepted flowers on behalf of his wife Pauline. 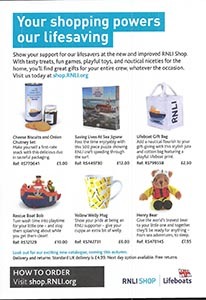 The RNLI's online shop is now back up and running. 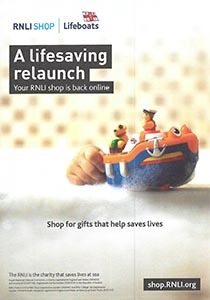 The profit from all purchases made through our Station Shop or the online shop directly help our life saving work. 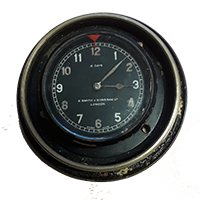 Clock from RNLB Amelia has been found. The clock which was fastened to the bulkhead of this lifeboat has been found and is now on display in our visitor centre. As you can see from the images below it was in a poor condition when found but after work has been done the brass has come up really well. 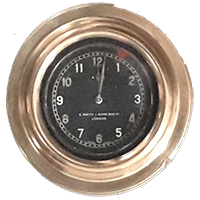 This clock manufactured by S Smith and Sons (MA) Ltd. of London has an 8 day Swiss movement. When we first looked at it we very carefully tried to wind it up, which it did with no problem, we then listened and it worked, it keeps very good time. Whilst on service in Scarborough the lifeboat RNLB Amelia launched 118 times saving 31 Lives. She was built in 1964 by J Samuel White at Cowes on the Isle of Wight to a design by Richard A Oakley who was the lifeboats Naval Archtect..
Due to its size and weight the SLARS unit was transported on two low loader lorries. 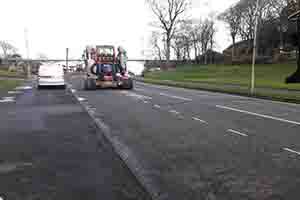 This picture shows the tractor unit on its way to connect to the trailer. 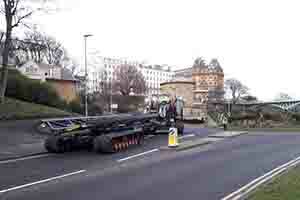 Here is he carriage section on its low loader. 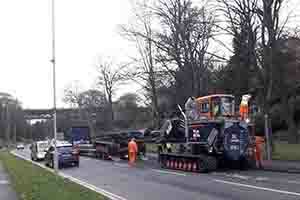 The tractor unit connected up to this trailer, the hydraulic pipes and control cables were connected. 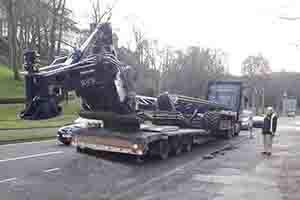 This picture shows the unit connected up and starting to be removed carefully off the low loader. All connected up and everything checked the completed unit is now on its way to the Lifeboat Station. When it arrived at the station our Shannon lifeboat was then recovered on to it.